This, the first Occasional Volume of the JACH, presents original correspondence drawn from the extensive records of Ollera Station in the New England region of New South Wales, preserved in the University of New England and Regional Archives in Armidale (NSW). 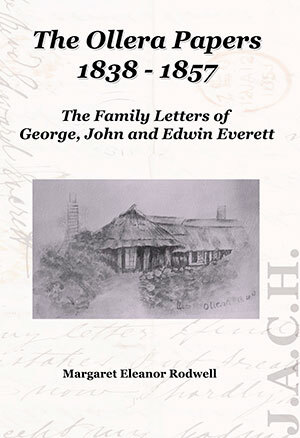 The letters cover the important first stage in the establishment of an isolated grazing enterprise, beyond the boundaries of settlement, and follow the fortunes of the Everett brothers to a point where enduring prosperity was virtually assured. They are particularly important as a record of an intercontinental family venture where foundational investment from England was expected to return substantial colonial profit in due course. While that was eventually achieved, the difficulties that the brothers encountered make for fascinating letters of report and record to be circulated amongst their extended family. Business matters, however, constitute just one aspect of the correspondence which ranges far and wide to give those ‘at home’ some understanding of relations with the local Aborigines, encounters with bushrangers, the flora and fauna of New England, the problems of ex-convict labour, the effects of the gold-rush and much more besides. Margaret Eleanor Rodwell holds a PhD from the University of New England (NSW). 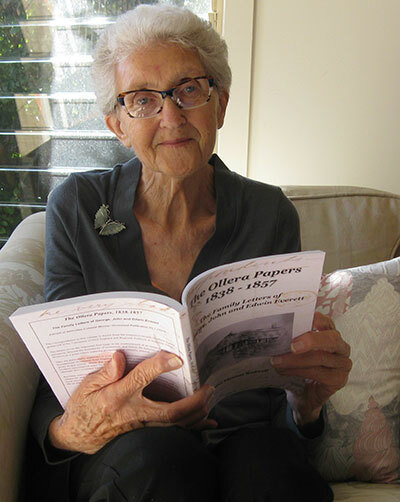 Her work on Ollera Station sets new benchmarks for the study of the history of those vast rural properties that were the foundation stone of early NSW. Her work has been published in Labour History, the Journal of Australian Colonial History, Southern History and the Journal of the Royal Australian Historical Society.